Utensils to allow your kitchen team to do what they do best! •Stock pots •sauce pans •fry pans •steamers (momo, idli, dhokla,) •dosa & pav bhaji tawa •grill plates •salamanders •omlette pans • ladles •palta •dabu •jhara •strainers for soup, juice. 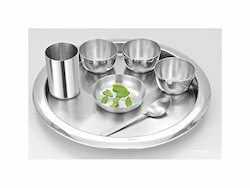 We are among the eminent organizations engaged in manufacturing, supplying and exporting Stainless Steel Designer Thali. Our professionals ensure that all these thalies are manufactured in compliance with the industry laid norms. Also, our professionals utilize premium quality material and modern machines while manufacturing. Our experts supervise every stage of production, with an aim to maintain higher quality standards and eliminate flaws, if any. 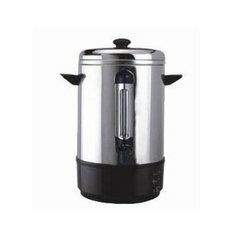 Supported by a team of experienced and talented professionals, we are engaged in manufacturing, supplying and exporting Tea Urn. Offered urns are manufactured by following the established guidelines of the industry and using high grade material obtained from the authentic vendors of the market. Before the end dispatch, these tea urns are rigorously examined on different parameters to ensure their quality and attributes. 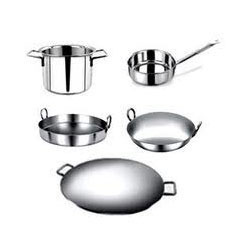 We are the one of the principal exporters of the Kitchen Utensils that are designed with precision by the experts. We take into account the variegated needs of our international clients and offer suitable range of Copper Steel Kitchenware. Our customers can avail these napkin holders in various colors and shapes according to their requirements.